Contrary to popular belief, it is not as simple as filing a claim and the defendant voluntarily paying you for your suffering. In fact, most defendants will do anything to avoid paying you a fair amount and your ability to get adequate compensation is based on how well you convince the defendant that a jury would make them pay a large sum of money. All that is done by your attorneys is done for that reason. The first thing you will do is talk to one of our experienced attorneys here at our Law Offices. You will need to call and speak with our legal staff who will need to ask you a few questions before scheduling an in-office appointment. They will briefly discuss the details of your claim and get a better understanding about how we might specifically be able to help you. When you come in for your appointment with one of our attorneys they will go over every detail of your injury. We will need to know things like where you were injured, when you sought medical attention, and how your doctor has treated your ailment so far. If you were injured while working, the outcome of your personal injury claim will largely revolve around whether your employer is a subscriber or a nonsubscriber. This relates to the insurance coverage your employer pays for and whether you will be able to recover any damages beyond reimbursement for your actual injuries. A large portion of personal injury lawsuits are comprised of discovery. Discovery is the legal term for the time period in which both sides uncover and research the facts of your claim. 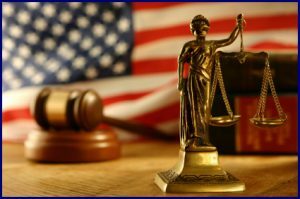 Our attorneys atourLaw Offices regularly rely on the testimony of expert witnesses to explain the details of your accident and the resulting injuries to a jury. These expert witnesses include expert physicians who will personally examine you and identify your injuries. We cannot fully understand the extent of your damages and how much you should be compensated until we definitively ascertain from a specialist how your injury will affect your short term and long term health. Also, many times the defendant will have insurance companies fighting your claim. These insurance companies frequently hire their own doctors to examine you and your injuries. While this might seem somewhat intrusive, it is necessary so that we may ultimately help you seek justice and receive compensation for your injuries. If at any time you have any questions about the discovery process and how you will be expected to cooperate, our attorneys and legal staff here at our Law Offices are always available to speak with you. Generally, the actual lawsuit will only last a few days in court. During this time our attorneys must convince the jury that you have been hurt due to the defendant’s negligence and that their action or inaction was the proximate cause of your injuries. 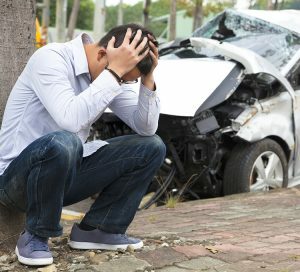 Our attorneys at our Law Offices regularly utilize expert witnesses to fully explain the extent of your injuries and exactly how the defendant’s negligence caused your accident. Often during trial the defense will attempt to introduce evidence and arguments to attack you personally and distract from the actual case at hand. You should be prepared for the defendant’s counsel to attempt using these offensive claims, but also know that this information will generally not be tolerated. Our attorneys are very skilled and experienced in handling personal attacks like these. We will do our best to limit these irrelevant claims and defend your rights in and out of court. Many personal injury lawsuits are settled outside of court. This is achieved through negotiations between the two parties, mediation, and sometimes through arbitration. Our attorneys will do our very best to make sure that you receive a fair and just resolution to your claim. Often times we find that you are greatly benefited from settling out of court instead of dragging out your claim for a potentially longer period of time. Mediation is a great tool to use in reaching a pre-trial resolution. During this time we will use the evidence we have acquired during the discovery process and we will personally meet with the defendant’s attorneys to discuss your injuries and damages sustained. Our attorneys are very experienced in reaching creative solutions to benefit you and your family in generally a much faster process than if we actually took your case to trial. Our Law Officers are incredibly qualified to handle your personal injury claim and are very skilled in helping our clients seek the compensation they deserve. Our goal is to help you and your family through this entire process. We will be with you through each step of the way and, with our assistance, your claim can reach a successful resolution and you can be adequately compensated for your damages.